Two female vampires live their lives on the run, being forced to move from city to city each time their secret is discovered. If you are looking for a vampire movie loaded with teenage angst that isn't full of sparkly vampires like "Twilight," you may find that in "Byzantium," which is directed by Neil Jordan, director of the films "Michael Collins," "The Good Thief," and "The Crying Game." The screenplay is written by Moira Buffini, who adapted this from her own stage play titled "A Vampire Story." Buffini has written screenplays for films like "Jane Eyre," and is also the creator the Hulu series "The Harlots." The story is about two female vampires named Clara (Gemma Arterton) and Eleanor (Saoirse Ronan), who live life on the run. This is understandable considering the circumstances. Clara is much more worldly and will do whatever she needs to do to stay safe and make ends meet. Eleanor seems a bit more innocent and naive despite being a few hundred years old. She desires more than a life in hiding and wants to make a connection with someone other than Clara. Eleanor also has an innate compulsion to tell the truth. Unfortunately, each time someone learns of their secret, Clara must take matters into her own hands, meaning imminent death and destruction to those who find out about who they really are. The girls are forced to flee once again and seek refuge in a new city after Eleanor tells someone about their sordid story. 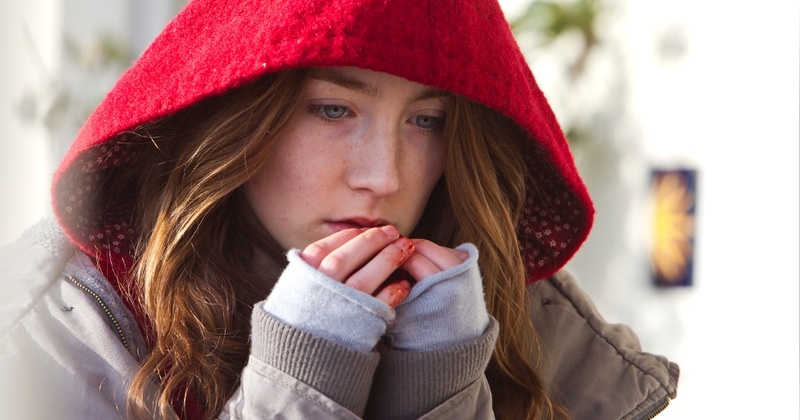 We have wanted to watch "Byzantium" for some time now, but to tell you the truth, we have been burned out on vampire films for a while. This is a slow burning bloodsucker story that feels sort of like a coming-of-age character study with much more blood. Most of this tale deals with Eleanor's inability to shut the hell up about her and her sister's status as vampires. We get it, you want to proclaim yourself to every new person you meet, but maybe for the sake of you and Clara just shut your big yapper for once! Eleanor tells everyone about the tale of how she went from being raised in a strict puritanical boarding house to becoming a soulless vamp on the run for all eternity, and we learn about her and Clara's vagabond past. We get to know Frank (Caleb Landry Jones), the boy who has taken a liking to Eleanor, and her school teachers, who learn and read the stories she has written about her vampirism. The timeline jumps back and forth between our modern age and what looks like the Victorian era as we are slowly fed bits of information as the story unravels. When we say slowly, we mean slowly. This story drags for much of its runtime. There is a little bit of mystery built here and there, but none of the revelations are all that interesting or unexpected. Honestly, the movie is straight-up boring for the first 100 minutes of its runtime. There are only the briefest moments of excitement and entertainment where the vampires actually act like vampires. It isn't until the last 15 minutes or so that we get some tension and excitement where there are real stakes at play. That being said, there are some striking visuals throughout the film, including an awesome river of blood that shows up a couple of times and is integral to the plot. 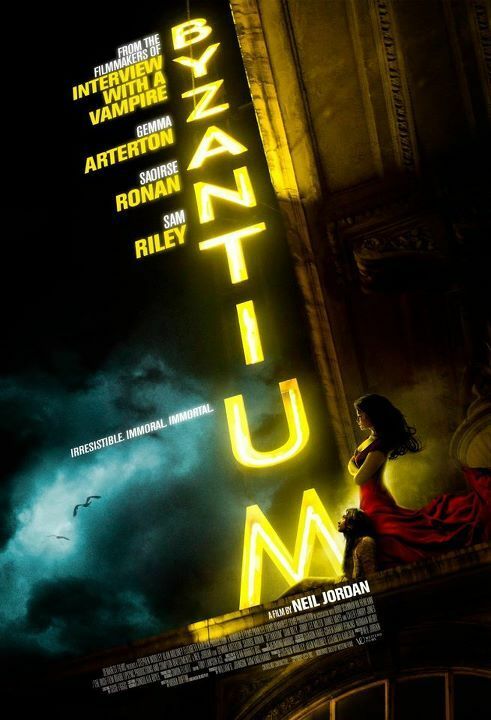 At times, "Byzantium" is a good-looking film, but a movie has to be more than just pretty to be successful. For us, this dramatic horror just isn't all that interesting. It is far too slowly paced and lacks any revelatory oomph like other flicks in this subgenre. This cast is wasted on a such a dull narrative.